Anne Raven concentrates her practice on litigation matters, including complex commercial disputes involving insurance and health care fraud. She has experience in all aspects of litigation, including motion practice, discovery, trial preparation and multiple trials. 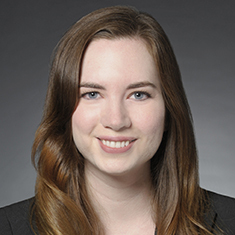 Prior to joining Katten, Anne was an associate at a large corporate law firm where she worked on a wide range of commercial litigation matters, including contract disputes, environmental litigation, trade secrets, fiduciary breaches, class actions and appeals. While in law school, she was a Senior Editor of the Harvard Environmental Law Review and a member of the Harvard Legal Aid Bureau and Harvard Defenders. She also served as a PILI Fellow in the Law Office of the Cook County Public Defender. Representation of a major health care insurance company in numerous litigation matters relating to hospital and ambulatory surgery center reimbursement. Third-chaired a two-week federal jury trial, obtaining complete defense verdict. Representation of a pharmaceutical manufacturer in a False Claims Act action alleging off-label promotion, improper sales and marketing practices, and violations of the Anti-Kickback Statute. Representation of a pharmaceutical company and senior executives in a securities fraud class action concerning alleged failure to disclose quality control issues at manufacturing facilities. Obtained partial dismissal and reached amicable settlement. Representation of a multinational oil and gas company relating to alleged coastal property damage from Deepwater Horizon spill response operations. Representation of a private equity firm in a billion-dollar lawsuit in federal court in Florida, involving claims for fiduciary breach, conspiracy to defraud, alter ego and fraudulent transfer. Obtained complete defense verdict following a two-week trial.